I got the cover for World on Fire and I love it! Anne Cain did the work. I've always loved her covers and was so excited when I learned she was assigned to World on Fire. She certainly didn't disappoint me in the least bit. This is wonderful. 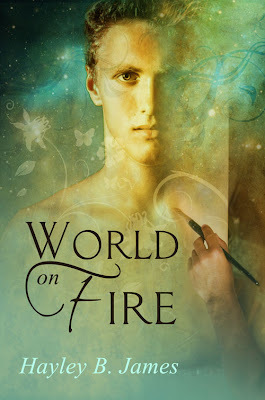 World on Fire will be release January 16!!! omg.... LOVE the cover!!! It's amazing! !